Rotary feeder can be used as the bunker discharger in the material collecting system. Rotary feeder is the most advanced discharging device currently and commonly used as one of important equipment in dust removal system. It is particularly suited to dust, small granular materials and very popular in environmental protection, metallurgy, chemical industry, food, cement, building roads, drying equipment and other industries project. The temperature of conveying material can reach 280℃. On both ends of bearing and impeller has a certain isolation, which can prevent the superfine powder contacting the bearing. Connected by sprocket, The temperature of conveying material for high temperature resistant type discharger can reach 500 ℃. 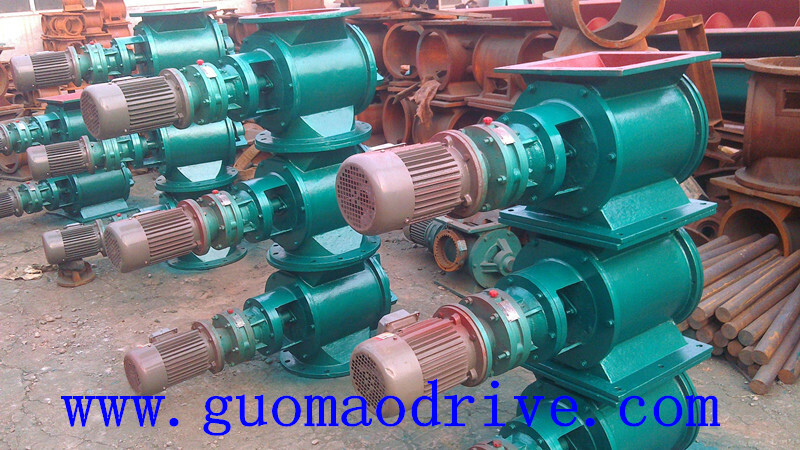 The cycloidal gear motor reducer and discharger shell has certain distance. The Rotary feeder composition is made with the number of leaves, seals and motor reducer, motor rotor impeller, shell and so on. The star discharging device, also known as rotary feeder, lock valve, star discharge valve, the star feeder, rotary feeder. 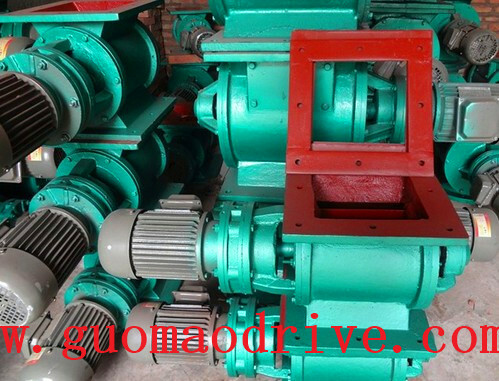 As a special kind of unloading equipment, Rotary feeder plays a large role in the cleaning and washing work, and it is necessary to summarize its characteristics. So we can make a better understanding of the rotary feeder to do comprehensive and maintenance.